PORTALES, NM (KFDA) - The Peanut Valley Craft & Music Festival in Portales celebrated it’s 45th year this weekend at the Roosevelt County Fairgrounds. 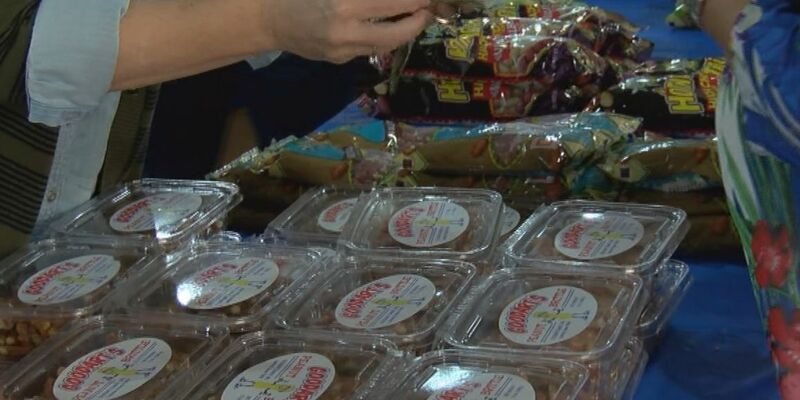 The staple of the festival is, of course, the variety of Valencia peanuts and other tasty treats sold by the Portales Women’s Club in the events arena. “This is one of our biggest fundraisers that we utilize to help provide scholarships for high school students as well as do some other community service work that we do with the community such as Meals on Wheels and school supplies and those types of things,” said Portales Women’s Club First VP of Civics Cindy Miller. She said they had record sales of the home-grown peanuts this weekend. Executive director of the Roosevelt County Chamber of Commerce, Karl Terry, said it’s the even wider variety of vendors that have grown the festival to what it is today. “The roots of this festival are kind of an arts and crafts festival and we like to think that we’re one of the better arts and crafts festivals in Eastern New Mexico and West Texas,” he said. Joe Aragon and his wife have been involved with the festival since it’s early years at Eastern New Mexico University. They were instrumental in incorporating arts and crafts into the festival, giving it roots from the local Native American community. Terry said embracing that culture and the many vendors native to the region continue to make the festival a success. “We’ve got folks from all over the state that have Native American pottery, jewelry, we’ve got folks from West Texas that bring stuff in and we have a really, really good following of vendors that really make this so special,” he said.